"KnoWhutImean" entered my vocabulary as a kid in 1988 when I first encountered Ernest P. Worrell via my parent's television set during a Saturday morning show called "Hey Vern, It's Ernest!" I found myself asking questions like: Who is this Vern? Am I Vern? And what is a Wall Street tycoon? After a few viewings I was able to sing along with the chaotic and bizarre theme song as I watched the unforgettably unique names of John Cherry and Coke Sams flash by onscreen. The experience I had with Jim Varney's creation was probably similar to that of "Pee-Wee's Playhouse", but in some ways Ernest's world was even more wonderfully weird. I mean, how many shows out there included a weekly segment where we journey inside the main character's mouth to have a conversation with their tongue? This new obsession would quickly snowball into a collection of Ernest toys, books and hours spent in the cinema with my family watching Ernest save Christmas, go to jail and be scared stupid by a lactose-intolerant demonic troll empowered with the ability to turn children into wooden dolls. Jason Anders: So when did the idea to write a book about your uncle first spark, and how long did you toy with it before it became a serious endeavor? Justin Lloyd: My mother and aunt (Jim's older sisters) had talked about writing a book together shortly after Jim passed in 2000. They had come up with an outline and written down a lot of their memories of Jim and their family that focused a good deal on his childhood. Nothing came of any of this and it was not until 2007 that I noticed what wonderful comments were being left on various Ernest/ Jim Varney YouTube videos that inspired me to share more with his fans. That led me to a moment in March of 2008 where I just made up my mind that a book needed to be written about Jim. As silly as it may sound, it almost felt like a calling. I realized that I was in a unique position as a relative to offer the family perspective but I was also aware of some other influential people in his life that very few others even knew about. And the rest of my research was straightforward newspaper and magazine research that helped bring everything together. My book was far more ambitious in scope than the one my mother and aunt had considered. Of course "more ambitious" equals much more work to do! I put a lot of pressure on myself to make it as comprehensive as possible and really give my subject the effort I felt his life and legacy deserved. 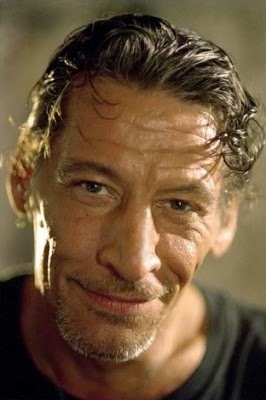 JA: What was it like growing up with Jim Varney as your uncle? JL: It was a bit surreal. The first time I saw him on television was for some regional Convenient Food Mart commercials around 1983. The Hey Vern, It's My Family Album special aired about a year later and that really blew me away. All the characters and accents he could do were really amazing. The Lloyd Worrell (meanest man in the world) sketch was just hilarious and I was soon reciting it verbatim along with my sister. When he came to town to visit us, it really was an event. It was obviously extra special to me as a kid because he was famous, but I think it would have been special anyway. He was so entertaining and different from anyone else I was exposed to growing up. He would imitate all these characters of his and also famous people such as Johnny Cash. He always had some new knife or piece of jewelry he would talk at length about. He just made everything seem cool. It's so ironic how very "cool" he was and the fact that he was so well known for such a bumbling goofy character. JA: Did you have any idea when you first began researching how much work it would be? JL: I really didn't know how much work it would be. I think I imagined it taking about two years but honestly had no idea. I just knew I was going to finish it no matter what it took. I became intensely passionate about it. I found out so many things I didn't know about him that any outline I would have started out with would have been scrapped almost entirely. It was all quite bittersweet because I found myself wanting to talk to him so many times as I uncovered new information but obviously could not. JA: What was the biggest challenge for you along the way of completing this book? JL: Keeping everything organized was definitely a challenge as I collected three huge binders full of articles. I pored over them many times to make sure I didn't miss anything important that should be in the book. Interviewing people was my biggest challenge however just because most of the people I talked to I didn't know and wasn't aware of the nature of their personal relationships with Jim beyond their professional ties. Some of these people were not exactly fans of the other interviewees either so that made things interesting. They were all quite welcoming and friendly with me and I felt that had a lot to do with the respect and affection they had for my uncle. JA: What were you most surprised to discover about your uncle? JL: I would say our family connection to the Hatfields was most surprising. The fact that no one in our family knew about it (only that my great-grandfather supposedly went hunting with some of the Hatfields) was really stunning. But something relating more to Jim's life and career that was a surprise was the extent of his relationship with Johnny Cash. He first worked with Cash in 1974 when he was cast as an extra on a TV special of Cash's. The next year Cash saw Jim perform stand-up at a club called the Exit/In in Nashville. That is when they really got to know each other. Cash really enjoyed Jim's brand of comedy and eventually cast him on his 1976 summer variety show. Jim managed to stay in touch with Cash throughout his life. JA: Do you have a favorite film of his? JL: Although it's not considered a "film", the Hey Vern, It's My Family Album special is my favorite. I really don't know all that much about the actual shooting of the special. I know that "Verna" in the Rhetch Worrell sketch is John Cherry's wife. 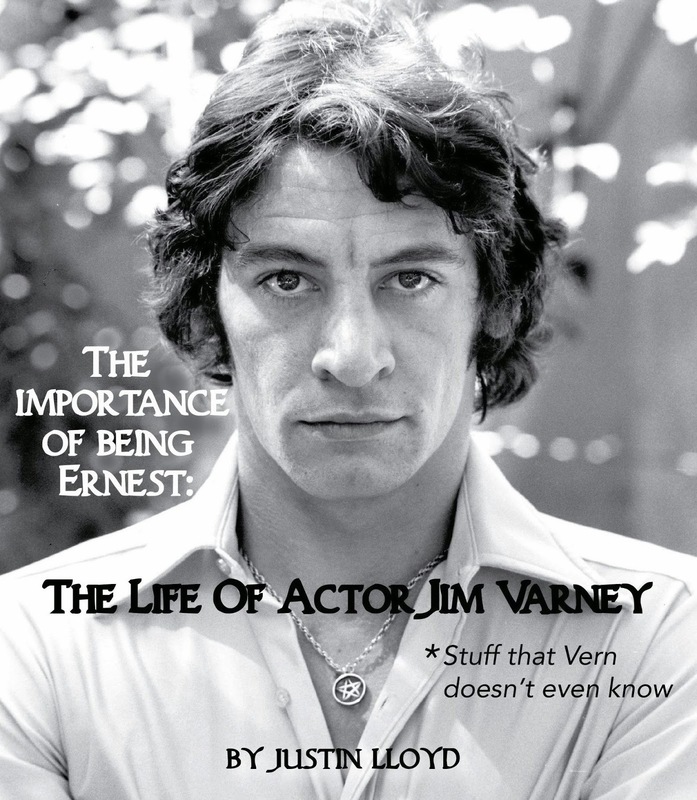 Maybe one of the most interesting things I found out about this show was that a few years earlier when Jim was living in California, he and his manager were trying to pitch Jim Varney's Family Album. 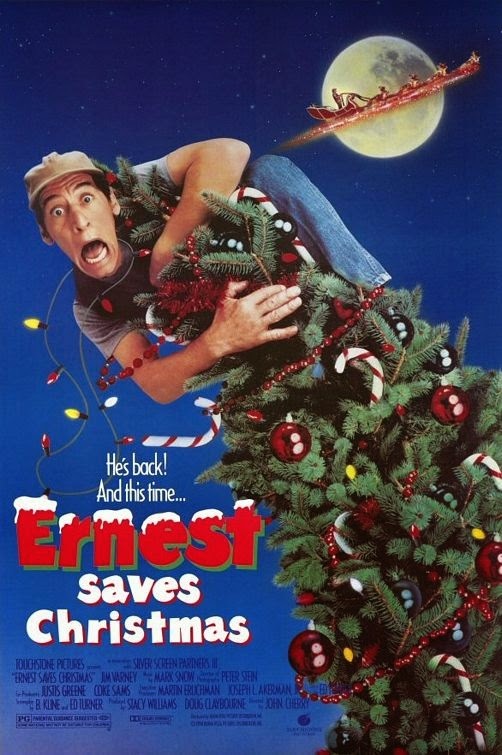 Other than Jim portraying a variety of characters, this early concept had nothing in common with the Ernest special. I am thinking that the simple concept of a "family album" came back to Jim when working with John Cherry as a way for him to play a lot of funny and interesting characters. 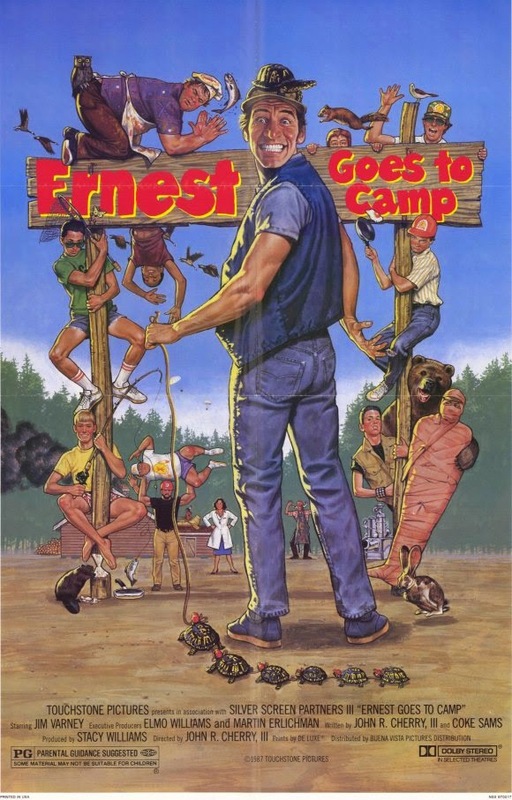 I would probably have to say that my favorite Ernest film was Ernest Goes to Camp, which has a slight edge over Ernest Saves Christmas, Ernest Goes to Jail and Ernest Scared Stupid. JA: Do you know much about the production of "Hey Vern, It's Ernest!"? JL: Like so many of the Ernest projects, I can only imagine the fun they had behind-the-scenes and how Jim probably entertained the cast and crew for hours between takes. I do know that much of the show was shot inside of Jim's actual residence in White House, Tennessee. He won a Daytime Emmy Award for this show and I know he was extremely proud of that. JA: Did you spend any time on the sets of his productions? JL: Ultimately, very little. The only Ernest set I ever visited was one of the Ernest Scared Stupid sets in the summer of 1991 in Nashville. It was a large warehouse where they had converted it into the woods where Jim (as Ernest) is battling trolls on the back of a pickup truck. My favorite experience with Jim involving any of his movies was attending a special premiere of the independent movie 100 Proof with my family in downtown Lexington, Kentucky. I was actually sitting right beside him during the movie and it was so interesting to see people turn around in their seats and look at him and whisper to each other. It gave me an interesting perspective on how it feels to be famous. 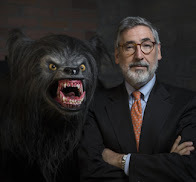 JA: How did Gailard Sartain and Bill Byrge become involved with Ernest projects? JL: I am a huge fan of Gailard Sartain. I would love to have met him while he was working with my uncle. I have never met Bill Byrge either but have heard what a really wonderful person he is. I am not sure how Sartain first became involved with John Cherry. I know that he and Byrge had shot some "Chuck and Bobby" commercials together for Carden & Cherry before they appeared in any of the Ernest projects. And of course the first character Sartain played in an Ernest film was the chef named "Jake" in Ernest Goes to Camp. Sartain has been excellent in dramatic roles over the years from a small role in The Outsiders to the despicable sheriff in Mississippi Burning. I know that Bill Byrge was working as a librarian in Nashville when he was discovered. JA: Do you think Jim ever realized the true impact he had as an entertainer? JL: Because of the amount of people who showed up at his personal appearances for Ernest, I believe that he was quite aware of the impact he was having. I know he received quite a bit of fan mail and would post artwork from children who would include it in their correspondence. I think what may have surprised him is the legacy of the character and how so many adults today that were fans of his growing up want to share Ernest with their children. And the fact that so many families watched Ernest movies together and how it became a part of some of their best memories of spending time together, it's really something special. JA: Was it difficult to watch "Atlantis: The Lost Empire", being that is was released after his passing? JL: At that point it really wasn't. It was more about being really excited to see something else he was connected to that I had never seen before. I experienced that many times in writing my book where I was able to find quite a bit of old footage of him that kinda brought him back to life in a way. I would probably say, like before, it's a lot of bittersweet feelings where I am excited to see something new but then I want to talk to him about it as soon as I do. JA: Have you considered turning the book into a feature-length documentary? JL: I have. And that is probably what I would have done first because of my love for movies and documentaries. There is a lot more cost involved and then there is dealing with all the rights and permissions for so much of the content. I know I would have such an ambitious scope and would want a great variety of clips included. I have had a few conversations with people about making one and as things begin to settle down in my life here I would like to revisit the possibility of pursuing that. JA: If you had to sum up your uncle with just three words, what would they be?